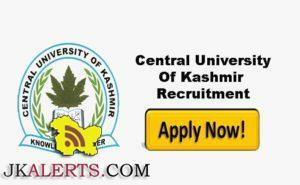 Central University of Kashmir CUK Junior Research Assistant job. Applications are invited from eligible candidates for engagement as a Junior Research Assistant in the Department of Convergent, Journalism, School of Media Studies. 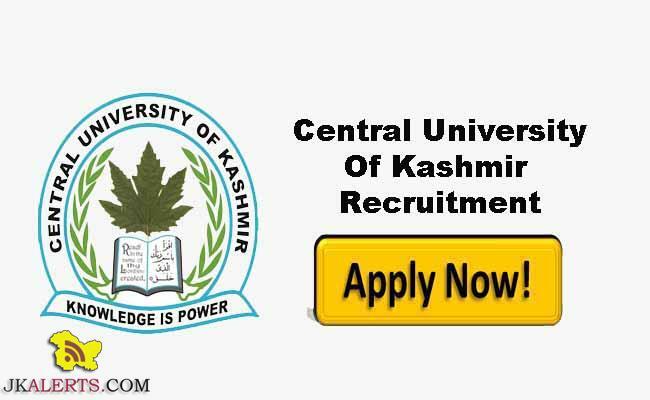 CUK Sponsored Minor Research Project entitled “Working on media managers and journalists in a conflict zone: A case study of Kashmir” on contract basis having consolidated salary of Rs.5000 per month for a period of (01.07.2018 to 30.04.2019). Qualification: Master’s Degree with at least 55% marks, preferably in Convergent Journalism/Mass Communication. Interested candidates may attend for walk-in-interview in the Dept, of Convergent Journalism at Nowgam Campus-I of the University, Srinagar, along with filled-in application form ur at jkalerts and other relevant documents as per the following schedule. Date & Time: 6th July 2018 up to 1.00 p.m. The selected candidates shall not follow any kind of Research program during the period of engagement. Download New Version Of Jkalerts App. Existing user Please Update ! !